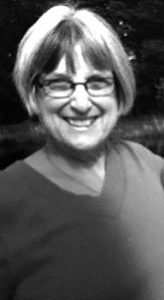 Carol Joanne Schneider of Charlotte passed away on Friday, September 7, 2018 at the age of 79. Carol was born on June 26, 1939 in East Jordan, Mich., the daughter of George and Helen (Springstead) Klooster. She was raised on the family farm in East Jordan where she worked and sold eggs to the local grocery stores. Carol had a beautiful voice and enjoyed singing in the church choir as a child. 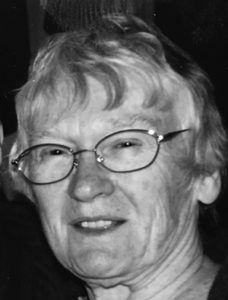 She graduated from East Jordan High School Class of 1957 and went on to receive a secretarial certificate from Grand Traverse Community College. Carol went to work for the State of Michigan in the Department of Natural Resources retiring after 30 years of service in 1991. 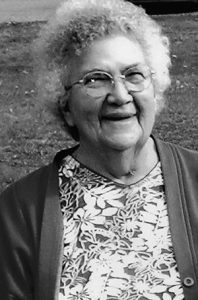 She enjoyed playing cards, cribbage, crossword puzzles, camping, fishing and spending time with her grandchildren and great grandchildren. Carol was and avid Detroit Redwings, Tigers and MSU Football fan. She was a member of the Family Shooters Corral and her local neighborhood-knitting group. Carol is preceded in death by her parents; brother, Ron Klooster; grandchildren, Dustin Howe and Robin Frazier. Surviving are her husband of 46 years, Raymond Schneider; children, Cindy (Dean) Harmon, Theresa (Joe) Smith, Sandy (Alec) Champlin, Mary (Doug) Howe, Pamela (Paul) Wygant, Patricia (Donald) Kidd, Brain (Taylor) Donaldson, Becki (Tom) Goodman; 29 grandchildren; 33 great-grandchildren; sisters, Marilyn Pierce, Kay Richards and numerous nieces, nephews, extended family and friends. Funeral services were held Tuesday, September 11, 2018 at Skinner Funeral Home, Eaton Rapids Chapel. For those desiring, memorial contributions may be made to the American Diabetes Foundation in memory of Carol. To share memories or leave condolences, please visit SkinnerFuneralHomes. Sandra Kay “Sandi” Place, 73, of Olivet, died on Saturday, September 8, 2018 at Eaton County Health and Rehabilitation Services. Sandi was born November 27, 1944 in Marshall to Howard and Betty (Miller) Faulkner. When Sandi was 6 years old she lost her parents when they were killed in an auto accident. From that time on, she was lovingly raised by her grandparents, Harry and Esther (Rapp) Miller, and her aunts Mary Lou, Shirley, Darlene, Dorothy, Marian, Margaret, Mildred, and uncles Harry, Robert and Laverne Miller. She graduated from high school and went on to the Hurley School of Nursing, graduating as a Registered Nurse. Sandi then attended MSU and graduated with her BSN degree. She was married to Merlyn D. Place on September 18, 1966. The couple has made their home in Olivet since then. She worked at the Battle Creek Veterans’ Administration Hospital for many years, retiring from there as a nursing supervisor in 1999. Sandi then taught nursing at Kalamazoo Valley Community College for 15 years, retiring in March of 2014. Sandi was a member of the Oaklawn Hospital Auxiliary and volunteered at Oaklawn. She was a member of the Ella M. Brown Charitable Circle. For a number of years she enjoyed volunteering at the Marshall Historical Home Tour for the Marshall Historical Society. She crocheted hundreds of baby afghans to give to mothers for their first baby. Her family have all benefited from her talent, with many afghans and blankets placed in family homes. She was beloved by her family and was a loving influence on their many lives. Surviving are her husband, Merlyn; daughter, Amy (Michael) Gancasz of Royersford, Penn., and son Brian (Stacey) Place of Charlotte; four grandchildren, Tom Moran, McKenna Kay Place, Nolan Gancasz and Riley Gancasz; her aunts, Shirley (Jack) Lawler of Marshall, and Darlene Coats and Dorothy Stults both of Olivet; and many nieces and nephews. She was preceded in death by her parents; her grandparents; her uncles, Harry, Robert and Laverne Miller; and her aunts, Mary Lou Duckham, Marian Heisler, Margaret Miller and Mildred Foote. Funeral services to celebrate her life were held on Wednesday, Sept. 12, at the Marshall Chapel of Kempf Family Funeral and Cremation Services, with Rev. Jack Brown officiating. Cremation followed services with committal later in Bosworth Cemetery in Olivet. The family suggests donations to The Battle Buddy Foundation, 8859 Cincinnati-Dayton Road, West Chester, Ohio, tbbf.org. Visit kempffuneralhome.com to leave a message for the family. Wilma J. Hogle finally got her wish and passed away peacefully at home surrounded by her family on August 31, 2018. She was born on September 23, 1929, in Charlotte to Lowell and Louise Boyer. She graduated from Charlotte High School in 1946 and married Albert Hogle in 1947. Wilma worked at Michigan Bell and AE Hoover. After she retired she volunteered at Hayes Green Beach Hospital for many years. Wilma knitted and donated hundreds of baby booties for the newborns. Over the years she knitted mittens and slippers that she gave to anyone who needed them. Wilma was also known for her wonderful homemade bread. Wilma is survived by daughter; Linda Lamb of Columbia, Tenn.; sons, Neil (Patricia) of Lansing, Lowell of Charlotte; five grandchildren; eight great-grandchildren; sisters, Mary Hall of Charlotte, Donna (Paul) Thayer of Plainwell; and sister-in-law, Jean Boyer of Sunfield. She is preceded in death by her parents; husband; two sisters; and two brothers. A memorial visitation will be held on Saturday, September 15, 2018, from 2 to 6 p.m. at Burkhead-Green-Kilgo Funeral Home in Charlotte. Those desiring, may make contributions in Wilma’s honor to Sparrow Hospice or the charity of their choice. 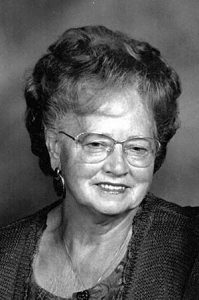 To view Wilma’s obituary online or to leave a condolence for the family, please visit burkhead-greenfuneralhome.com. 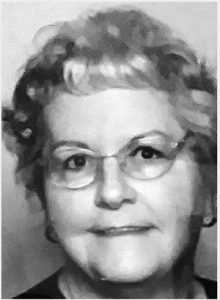 Lavinia Carolyn (Milner) Kineman, of Hastings, was born January 7, 1935 and passed on from this earth September 3, 2018. Lavinia Carolyn Milner was born in Hickman County, Ky. She attended High School and Junior College in Paducah, Ky. and continued on to Murray State Teacher’s College. On September 14, 1957, she married Jack Lavern Kineman, her college sweetheart, and traveled with him on his life’s journey as a civil engineer throughout the Midwest. Although she is gone from this earth she is treasured in our hearts and minds as a loving wife and caring, nurturing mother and grandmother who believed in hard work and perseverance. She believed in all of us and we are grateful for her life and love. Lavinia, “Carolyn” to many, is survived by her husband and three children, Steven Kineman (Marie McLaury) of Charlotte, Rhonda Kineman (John Houck) of Chicago and Melinda (Michael) Rodgers of Grand Rapids; five grandchildren, Radie, Maizie, Zephie (Josh) Hillard, Bram Kineman and Oskar Houck. In keeping with Carolyn’s wishes, cremation has taken place and a private family burial will be held. In lieu of flowers, please make donations to the American Diabetes Associations. To view Carloyn’s obituary online or to leave a condolence for the family, please visit burkhead-greenfuneralhome.com. Cards of caring and remembrance can be sent in-care-of Steven Kineman, 388 North Wheaton Rd, Charlotte, MI 48813. 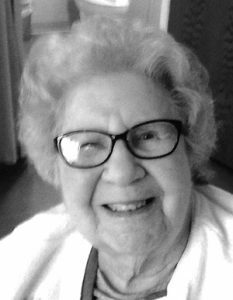 Marion Maurer, 86, of Olivet, passed away Sunday, September 2, 2018, at her home with her family by her side. She was born October 23, 1931, in Hastings, the daughter of Floyd and Dorothy (Loveland) Denny. Marion spent her growing up years in Barry County. She graduated from Hastings High School in 1949 and then went on to Michigan State and took a short course in home economics. On June 11, 1950, she married Harold R. Maurer at her parent’s home in Hastings. After her marriage, she and Harold moved to their new home on Mathews Road in Olivet. This was where they raised their family. Marion was very active in all aspects of the farming operation. She helped milk cows, did field work, and maintained her home. Marion was a 4-H Leader for many years. She made most of the girl’s dresses while they were at home and even entered them in several Grange sewing contests. In one of these contests she became a State Champion Seamstress. Marion was active in her children’s education. She served as a room mother, was PTA President, and put on many style shows. She always enjoyed the Eaton County Fair and had a hot dog booth there for years. She lived her life for her family. 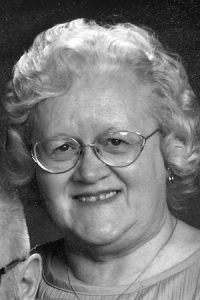 Marion is survived by her children, Marvin (Tammy) Maurer of Charlotte, Martha (Alan) Scott of Columbiaville, Aaron Maurer of Olivet, Darlene (Roger) Conley of Charlotte, Carla (Brian) Wilmore of Charlotte; 13 grandchildren; 13 great-grandchildren; sisters, Joyce (Oliver) Boulder of Woodland, Kathryn Dewitt of Hastings; brother, Robert Denny of Battle Creek; sisters-in-law, Iva Jean Wilmore, Maxine Baun, Shirley Watson; numerous nieces, nephews, and friends. She was preceded in death by her parents; husband, Harold; step-daughter, Karen Haigh; four sisters; and two brothers. Funeral services were held on Friday, September 7, 2018, at 2 p.m. at Burkhead-Green-Kilgo Funeral Home in Charlotte. The family received friends two hours prior to the service at the funeral home. Interment followed at Maple Hill Cemetery in Charlotte. Those desiring may make contributions in Marion’s honor to Eaton Community Palliative Care, 2675 S. Cochran Road, Charlotte, MI 48813. David Eliot Cross, a loving and caring, son, brother, uncle and friend, died unexpectedly August 22, 2018. 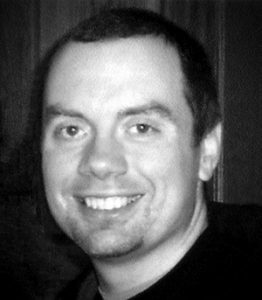 David, 40, was born November 16, 1977 in Lansing to Sam and Kathy (Jones) Cross. He was a 1996 Charlotte High School graduate. In high school David loved running cross country and track, two sports that he was truly good at. David worked in the frozen foods department at the Meijer Warehouse. Some of his interests include creative hobbies such as art and poetry. He also had a strong passion for the outdoors, going for walks whenever he could. Other hobbies included reading, going to the movies, and playing the keyboard. Family was very important to David. He loved spending time with them and was actually a caretaker for his grandmother, and loved spending time with his nephew, Ryan. David is survived by his parents, Sam and Kathy (Jones) Cross; siblings, Jonathan Cross, James (Christina Raby) Cross, Lisa (Brian) Ruble, and Robert Cross; grandma, Elva Jones; nephew, Ryan Cross; niece, Ambrosia Ruble; cousins, Joshua Kirk, Jennifer Kirk, along with other cousins and aunts and uncles. David is predeceased by grandparents, Gerald and Alice Cross, and Wilbur Jones; and aunt, Jan Kirk. A celebration of life was held at the Charlotte Church of Christ on Wednesday, August 29, 2018 at 7 p.m. with Pastor John Bailey officiating. Annie Margaret Campbell, 94, of Sunfield, died Monday morning, August 27, 2018. She was born February 11, 1924 in Pineville, N.C., a daughter of Fred and Daisy (Fowler) Thrower. She was a former member of Sunfield United Methodist Church and its Women’s Society, plus the Red Hats. Annie was preceded in death by her husband, Harold; daughter, Allene Mullins and son, Loren Fred Campbell. Surviving are two daughters, JoAnne (Dennis) Clay of Charlotte and Patricia (Clair) Hewitt of Sunfield; seven grandchildren; 15 great-grandchildren; one great great-granddaughter; nieces and nephews. Services were held Friday at Barker-Leik Funeral Home, Mulliken, with Randy and Sally Seifert officiating. Interment was in Meadowbrook Cemetery. Memorial contributions may be made to the Eaton County Health and Rehabilation Services – Activity Fund, 530 Beech St., Charlotte, MI 48813. Lawrence was always thinking of others, he would pick up returnable bottles and cans, and put the proceeds in a fund to use for special purposes. The Welch Historical Museum in Sunfield also benefited from a number of things he donated to them. He also enjoyed building birdhouses, antiquing, and cutting wood (which he did until he couldn’t start his gas chainsaw any longer, then he bought an electric chainsaw). After his wife Jill died in 2016, Lawrence met Kay Stuber at a support group at Eaton Community Palliative Care. When Kay tied his shoes for him, he fell for her kind ways, and she loved the way he was a gentleman—the kind who opened the door for ladies. They enjoyed dancing together at the Maple Grove Grange. Lawrence is survived by his daughters, Yvonne Visger and Felisha (Lloyd) Prickel; granddaughters, Ashley (Joshua) Sanders, Mackenzie (Adam) Foster, Alison Childers and Cassey Childers; grandson, Taylor (Samantha) Visger; great-granddaughters, Brenleigh Sanders, Ava Foster, and Aubriana Childers; great-grandsons, Jensen Sanders, Easton Foster, and Mason Visger; brothers, Lavern (Marilyn) Suntken, Loyal (Glea) Suntken, and LaGrand Suntken; and girlfriend, Kay Stuber. He was preceded in death by wife, Jill Ione Suntken; grandson, A J Childers; and his parents, Edward and Arlene Suntken. Funeral services were held Tuesday, August 28 at Pray Funeral Home in Charlotte, with Courtney Suntken officiating. If desired, the family suggests memorial contributions to the Welch Historical Museum in Sunfield or Eaton Community Palliative Care. Share memories of Lawrence on his tribute page at PrayFuneral.com. Dixie Lee (Miller) Stahr, a kind hearted, strong willed and happy go lucky, mother, grandmother and great-grandmother, died Saturday, August 18, 2018. Dixie, 79, was born October 1, 1938, in St. Johns to Frances and Martha (Hartig) Miller. She graduated from Haslett High School. In 1962 Dixie married Thomas Beals and together they created their legacy until his passing in 1980. Dixie worked as a cashier for the Charlotte IGA and for Meijer before her retirement in 2002. Being outdoors was a strong passion for Dixie. She loved fishing, gardening, watching birds and camping at Yankee Springs Deep Lake Campground. She was a proud member of the TOPS Club 433 in Eaton Rapids. Dixie also enjoyed sewing and embroidering. Her family always knew where she was and when not to bother her, every night at 7 p.m. you could find Dixie watching The Wheel of Fortune, if you had to call it better have been before or after the show. She was a member of the New Hope Church in Charlotte. Dixie loved her dogs, Molly, Buddy and Jake. Above all her biggest passion in life was being a grandmother to her grandchildren and great-grandchild. Dixie is survived by her children, Allen “Tom” (Kris) Beals, and Laura (Horace “Lewie” Doty) Griffin; grandchildren, Kayley, Timothy, and Nikolaus; great-grandchild, Damon; and numerous nieces and nephews. Dixie is preceded in death by her first husband, Thomas; son, William Thomas Beals; siblings, Karlene, Roger, and Doug; and her parents. A private family memorial service is going to take place at a later date. If desired, the family suggests memorial contributions to The Susan G. Komen Race For The Cure to benefit breast cancer. Friends and family are encouraged to share memories of Dixie on her tribute page at PrayFuneral.com. Calvin H. Glassford, 92, left his earthly home to join his family and friends. He was born August 25, 2925, and raised in Almont, Mich. along with 11 brothers and sisters. 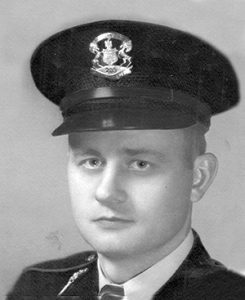 Calvin served in the U.S. Air Force during WWII, and joined the Michigan State Police in 1954. He gave the State of Michigan 27 years of dedicated service. 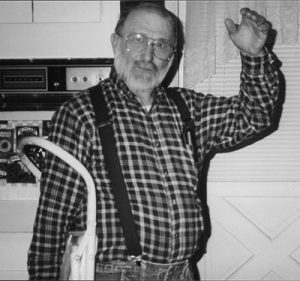 Calvin lived in the Charlotte area for many years and was very active in his church volunteering for numerous projects over the years until he was unable to do so for health reasons. Calvin is survived by his wife, Patricia; children, Mark, Cathie (Joe), Bruce (Linda), Lori; grandchildren, Jessica, Ryan (Adena), Troy; great-grandchild, Jordyn; and two remaining sisters, Eleanor and Florence. To honor his wishes, cremation has taken place with interment of ashes taking place at Fort Custer National Cemetery in Battle Creek on September 10, 2018 at 1 p.m.